Top ranking members of Accra Hearts of Oak Sporting Club have appealed to the supporters of the club to remain calm and display highest sense of maturity ahead of their cracking game against Stade Malien on Sunday. In a separate interview with SPACE FM Sports Desk, the chairman of the Interim Management Committee, Mr. Thommy Okai appealed to the supporters to uphold principle of Fair Play. 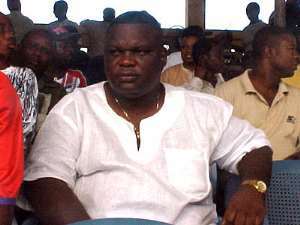 According to him, Hearts is one of the oldest clubs in Africa and hence any act of retaliation from the fans would not augur well for the club. On his part, the PRO Randy Abbey was blunt in his submission. “We will definitely retaliate but not with stones and blows but with goals on the field”, he said paradoxically. According to the affable PRO, Hearts owe it a responsibility, as Ghanaians to uphold the much-talked-about Ghanaian hospitality and therefore promise players, officials and supporters of Stade Malien FC to feel at home, whilst in Ghana. Hearts were subjected to series of maltreatment before, during and after the first leg encounter in Bamako ten days ago, Reported Dan Kwaku Yeboah, Peace Fm. Meanwhile a contingent of eighteen players and seven officials of Stade Malien are in the country. They are scheduled to train at Wesley Grammar School Park this morning and evening. They would move to the match venue, Accra Sports stadium tomorrow to train on the turf.